It has been 5 months since I had my hair cut, yes 5 whole months and in that time I have debated growing my hair again, it used to come right down to my bottom before I went to Uni. However, as my hair got longer the more frustrated I became with it, so when the chance came up to visit a new Salon not too far from home, I jumped at the chance. I have never been to a Rush Salon to have my hair done before and it did have me on edge slightly. I am not too good when it comes to new places. I like the comfort of knowing where I am going, who I am seeing and for years I had the same hair stylist until he went backpacking a few years ago and has yet to come back to the UK. Inside the salon, it is incredibly swish with shiny floors and decor that matches and I love that the products used on your hair are on view for you to see. As I arrived I was greeted by the Salon Manager who was so lovely and friendly that I was immediately at ease. 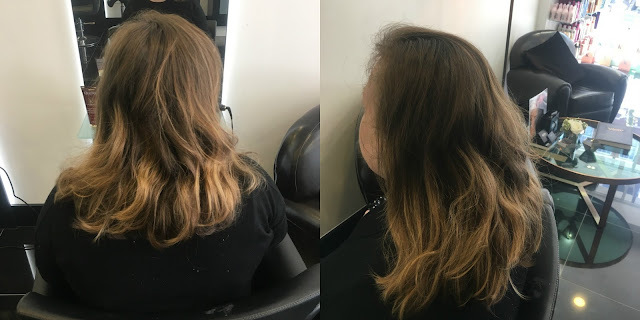 I was shown to a chair and she set about asking me questions such as what I liked about my hair and what I didn't, how I style it, what products I like to use to wash and condition and whether or not I had ideas as to the style that I wanted. For the first time in such a long time, I actually felt like someone was willing to take into account my concerns and considerations. Now I hate having hair on my face, so a fringe of any sort is a definite no-no. I need my hair to be long enough that I can tie it back when I work should I need to, but also on a hot day there is nothing worse than your hair making your neck sweat, but other than that, I was happy for some suggestions and some guidance as to what would work, look amazing and be easy to style, I would much rather spend an extra 10 minutes in bed than have to get up to spend hours on my hair! So off I went to have my hair washed, conditioned, masked and my head massaged. Something I absolutely love having done and if I could afford it, then I would happily pay for someone to wash my hair for me constantly. The hair washing room is also incredibly plush with comfy chairs and I was almost asleep as my hair was washed and conditioned, the ambient lighting is incredible. 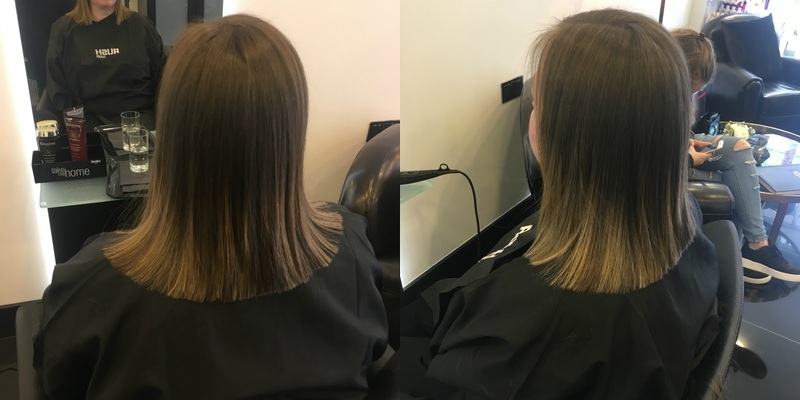 All three of the products used on my hair have left it feeling incredible, not sticky, not crunchy but so soft, smooth and with a natural movement which I absolutely love and as you can see, sleek shiny hair rather than just been dragged through a hedge backwards! I wouldn't hesitate to go back to Rush when my hair is in need of a cut again. I was made to feel so welcome and I loved being able to chat to a non-blogger about lipstick, mascara and foundation, swapping tips and recommending products to one another was a lot of fun! 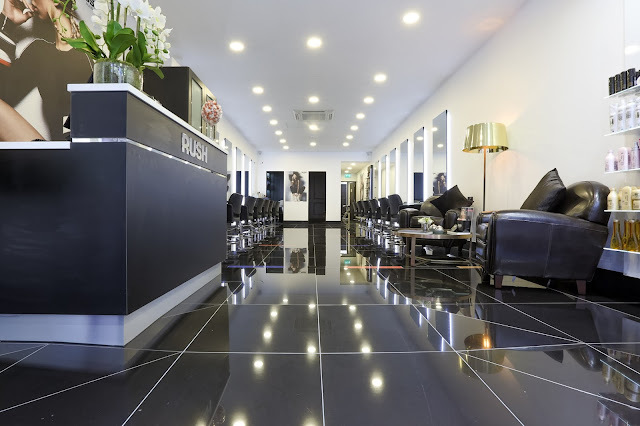 For more information about Rush, their treatments and pricing, you can find it all right here and if Enfield is not in your vicinity then there are over 30 others across London and more nationwide which you can find using the Salon Finder - here. This looks amazing! I wanna goooo!!!! 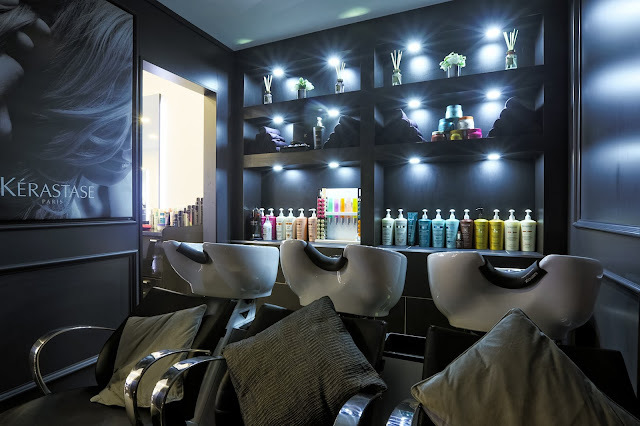 A Rush salon has opened near me, I have been wondering what they are like as they look such beautiful salons! I love having my hair washed too, it's so relaxing isn't it. The Salon looks so sleek and classy! Your hair looks amazing! I really hate going to the hairdresser but this sounds like a great experience. She did a great job! 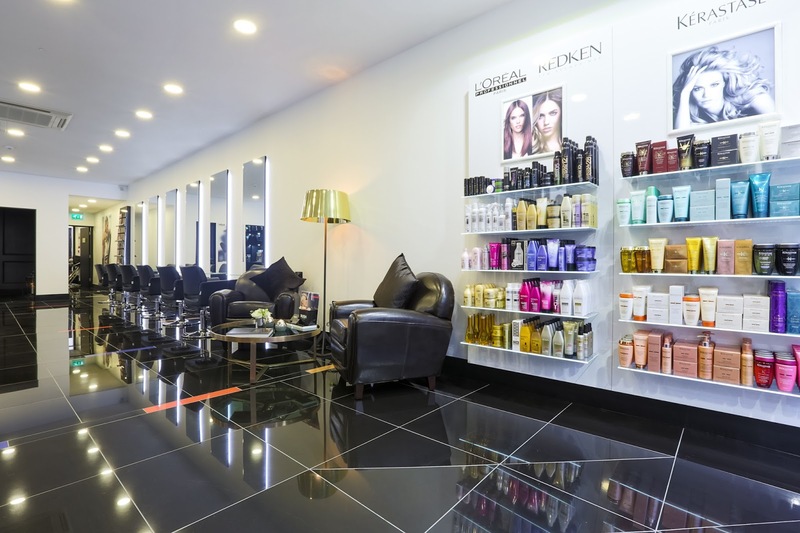 It sounds like a great experience, and I love the look of the salon! I love how sleek and glossy your hair looks. I haven't has a haircut since before Penny was born... she's coming up for 9 months *cringe*. I love the priming cream I use it often. Sounds like a lovely salon, they did a great job! Your hair looks in such better condition after you had it cut. I'm like you and leave my hair for months too. This reminds me, I need to go get my hair done! Salon looks amazing! This salon looks gorgeous. I'd love to try a RUSH salon one day! 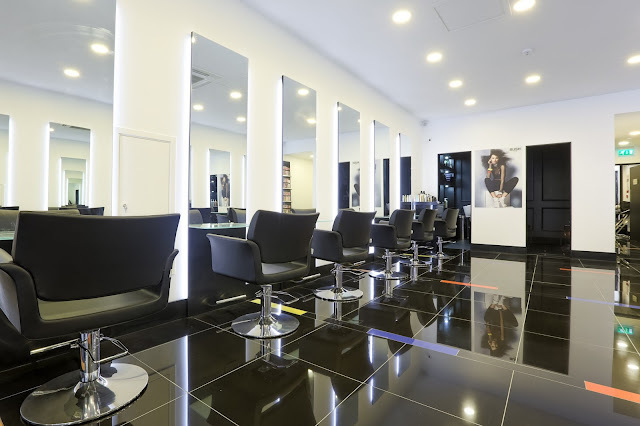 I always love the look of Rush salons but I am yet to visit one, it looks like they did a fabulous job with your hair.